Last week, a China Southern Airlines plane collided with a tow truck on a tarmac at Los Angeles International Airport, causing several delays and cancellations. 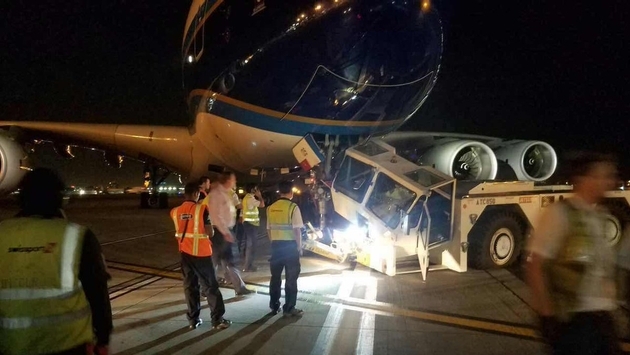 According to CBS Los Angeles, China Southern Airlines Flight 328 smashed into a tow truck just before midnight Thursday while in the taxiing lane on the tarmac between Terminal 4 and the Tom Bradley International Terminal. At the time of the collision, 447 passengers and 28 crew members were on board the China Southern airplane, but there were no reported injuries. On the other hand, one employee inside the tow truck was treated for minor injuries at the scene. The China Southern flight was scheduled to depart for Guangzhou, but was taxied to the terminal following the crash for inspection and repairs, as the nose gear door of the plane was damaged. As a result of the accident, the China Southern flight and two American Airlines flights were canceled and the taxi lane was closed temporarily. 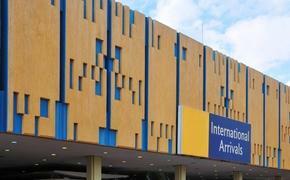 In total, officials at Los Angeles International Airport said 1,060 passengers were impacted by the collision. A full investigation into the accident is underway.